East Allen County is a rural community of seven cities and towns just east of Fort Wayne. Unified by the East Allen County School district, the area is home to more than 56,200 residents in New Haven, Woodburn, Harlan, Grabill, Leo-Cedarville, Monroeville, and Hoagland combined. But about 10 years ago, the school district was facing a grim outlook. Stahly says the loss happened quickly for a variety of reasons. At the time, the state of Indiana was promoting charter schools, so vouchers came into play. Then the recession hit, and the district had to close Paul Harding Sr. High School. With a loss of students attending school in East Allen County, there was a loss of funding for the students who remained, too. 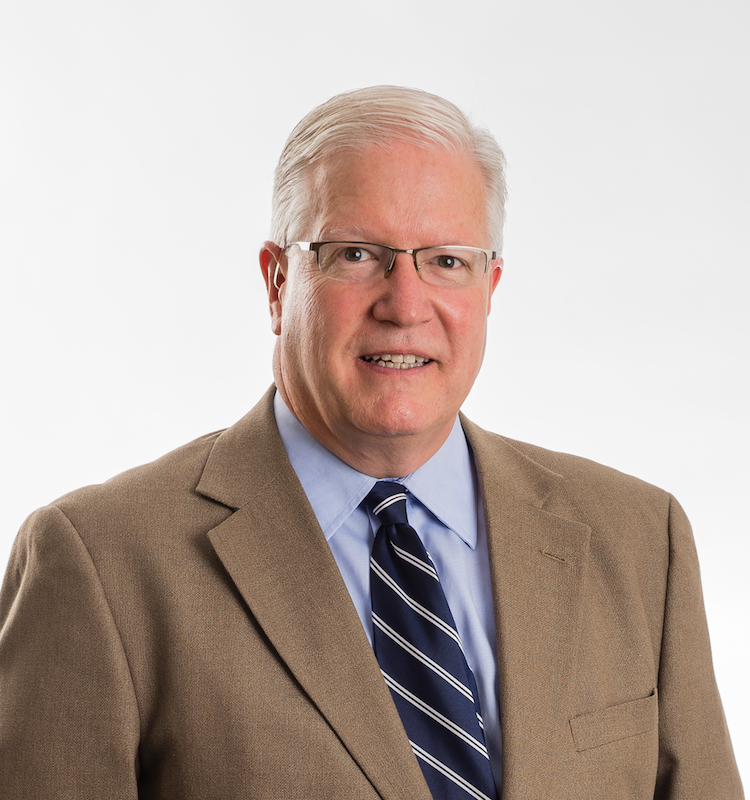 As business manager for the district, Stahly found himself in a position to help the school board make critical decisions that would determine the district’s future. And while it hasn’t been a quick fix, he’s seen growing interest in East Allen County Schools over the last decade thanks to their planning. “Now we’re roughly back up to the enrollment we were at prior to the loss,” Stahly says. So how did they do it? 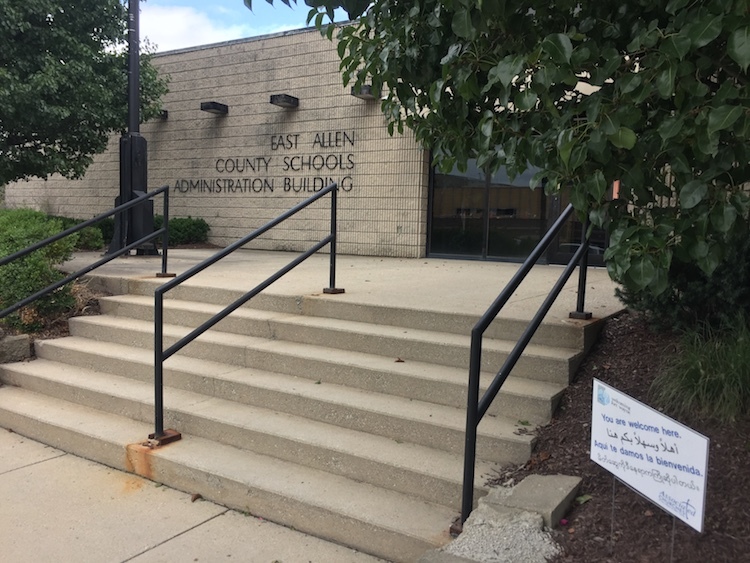 The success of East Allen County Schools can be attributed to a number of factors—from cost savings, to new curriculums, to more state incentives for schools to attract students. But as a sense of community pride call “rural renewal” swells in East Allen County, there’s something else at play, too. More people in northeast Indiana are starting to appreciate the benefits of living and learning in rural environments beyond Fort Wayne’s borders, and the East Allen County School district is reinventing itself as an outgrowth of this culture. If you drive to the East Allen County Schools administrative offices off State Rd. 930 in New Haven, you’ll see construction at New Haven High School next door. What was once a senior high school only is being converted into a junior/senior high school for grades 7-12. 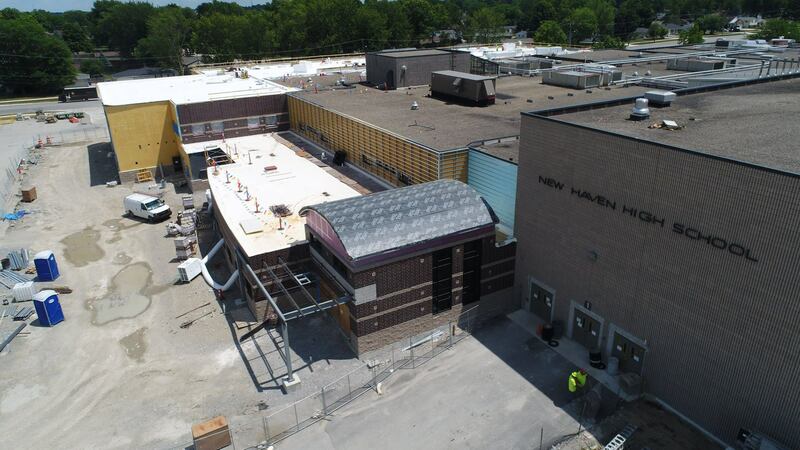 New Haven High School is expanding as part of $87.5 million in updates to East Allen County Schools. Across East Allen County, similar changes have been happening for the last several years, Stahly says. It’s one way the district has made itself financially stable again. Instead of having separate elementary schools, middle schools, and high schools in the same small town, they have consolidated schools into 7-12 or K-12 campuses that feed into five distinct high school paths: (1) Paul Harding Jr. High School/East Allen University, (2) New Haven Jr./Sr. High School, (3) Heritage Jr./Sr. High School, (4) Woodlan Jr./Sr. High School, and (5) Leo Jr./Sr. High School. Stahly says this consolidation has helped cut overhead costs associated with building maintenance and management, while preserving educational instructors and high school spirit in each town. 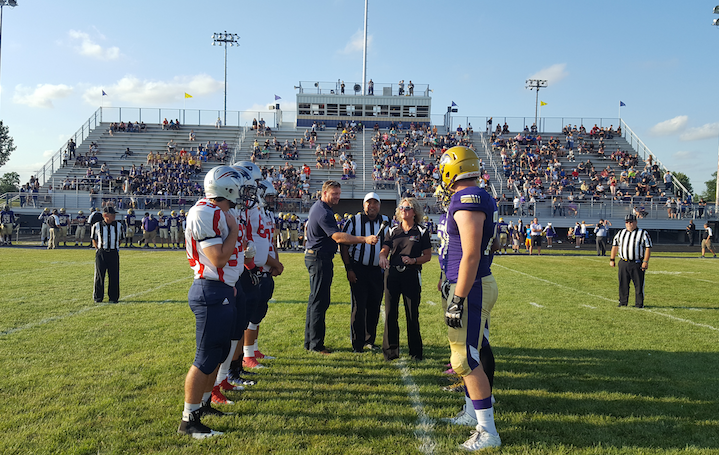 High schools are centers of activity and community spirit in East Allen County. With less money being spent on managing multiple buildings, the schools that remain are getting more attention. Stahly says the school district has $87.5 million funds for renovations, updates, and additions at its current facilities. These funds are being used in different ways across the district, from adding an auxiliary gym at New Haven Jr./Sr. High School to upgrading less conspicuous parts of buildings. “It’s updating the plumbing systems, electrical systems, the heating/cooling systems—all the things that a lot of time people don’t see,” he says. Updates to the district’s curriculum and student experience are helping it thrive, too. She grew up in Woodburn, graduated from Woodlan High School in 1988, and married her high school sweetheart. 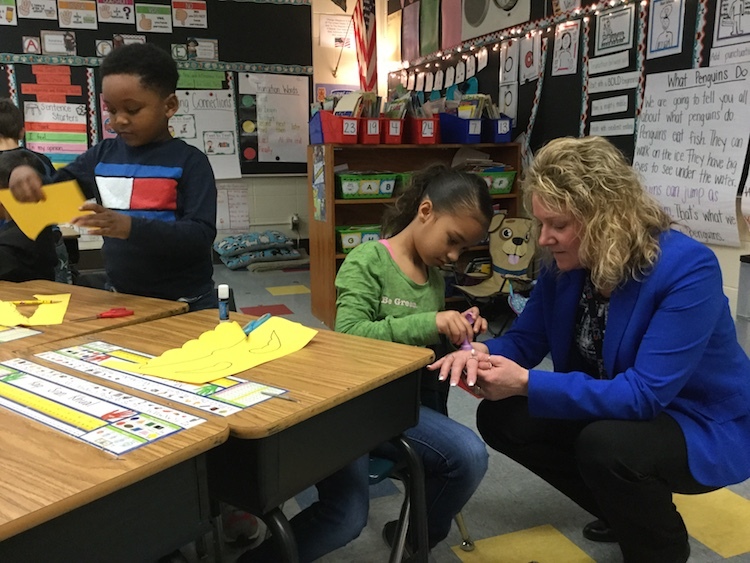 After earning her bachelor’s degree in elementary education at Ball State University, she came back to East Allen County where she taught and eventually became the principal of several elementary schools. She even coached volleyball for awhile at Paul Harding High School and started sending her kids to school in East Allen County, too. 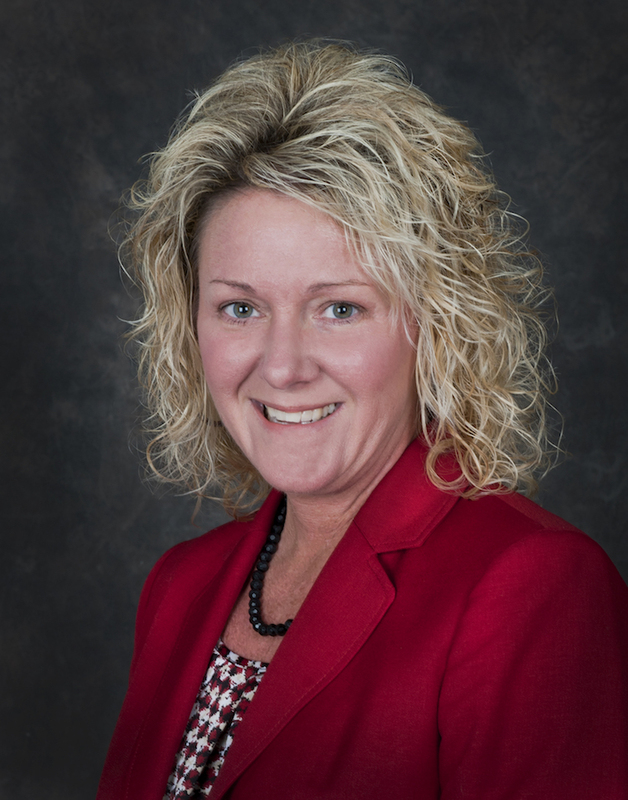 Then in 2010, she was reassigned to be the Director of Curriculum for all East Allen County Schools. 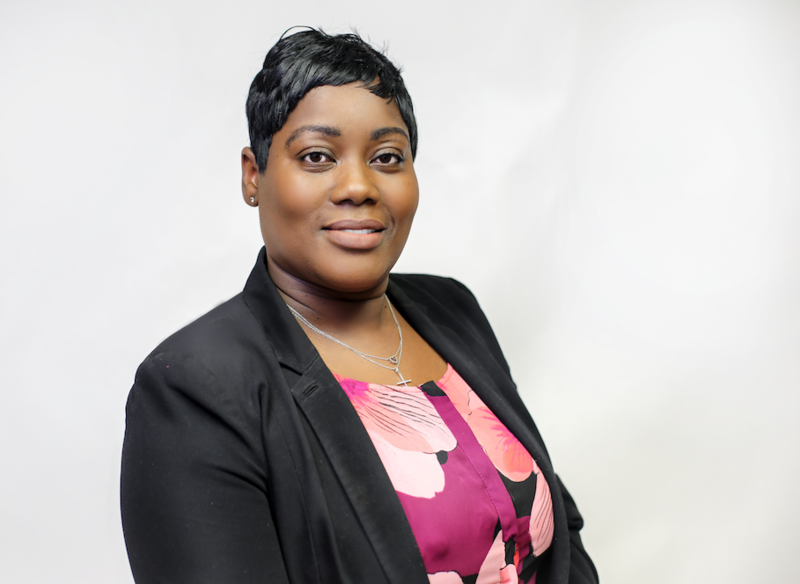 It was around this time that the district was losing students, so in the spring of 2011, Hissong and her team made a difficult decision to turn things around. 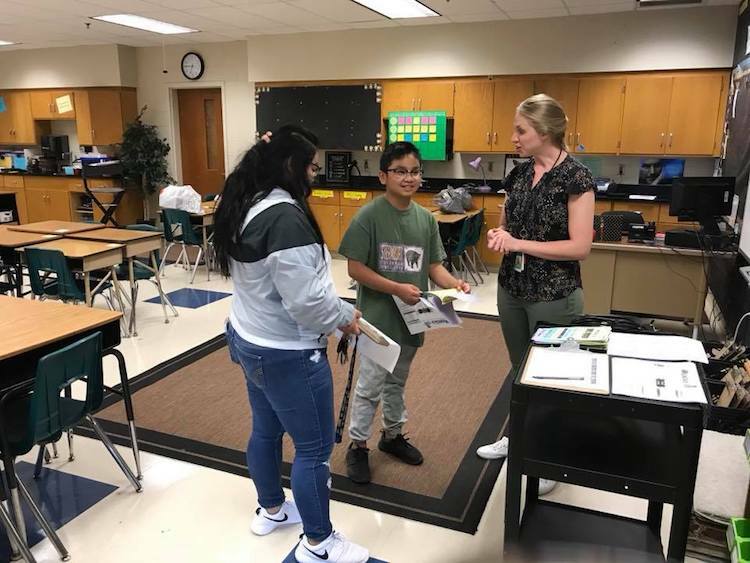 Halfway through the school year, they pulled two teachers from every grade level out of their classrooms to help design a new district-wide curriculum and put substitute teachers in their classrooms. Hissong admits it was a risky choice pull teachers out of classrooms, and since she was the one who made the call, she didn’t excuse herself from the potential consequences of the decision. East Allen County Schools Superintendent Marilyn Hissong, right, visits with students. Today, the bold move has paid off. Hissong and her team of teachers redesigned the East Allen County Schools curriculum according to a program called “Understanding by Design” by Grant Wiggins and Jay McTighe, she says. But while they used this approach as a guide, they also quickly realized that they didn’t want to implement a canned program at their schools. 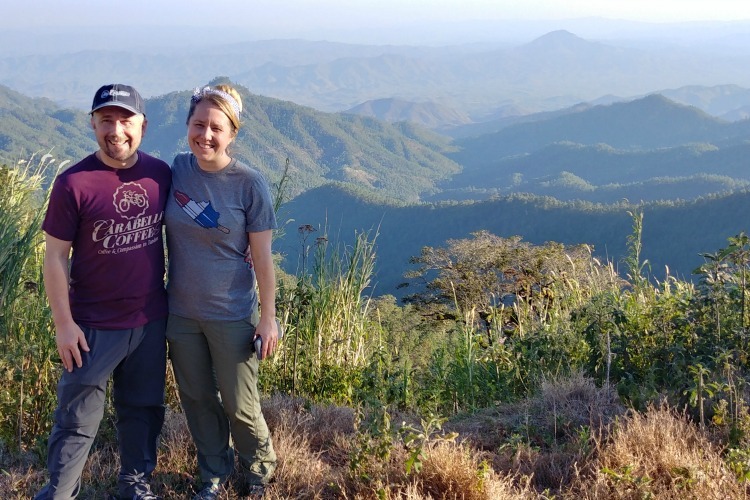 Instead, they wanted to create a customized approach from scratch that would give teachers the flexibility to make the best decisions their students throughout the year. So they bundled their teaching standards into four-and-a-half-week periods, where the district sets the standard for what material is taught when, and then allows teachers to take the lead on deciding how to teach the material. “The ‘how’ is really up to the teacher—how he or she feels will best get that information embedded into students’ educational pathways,” Hissong says. 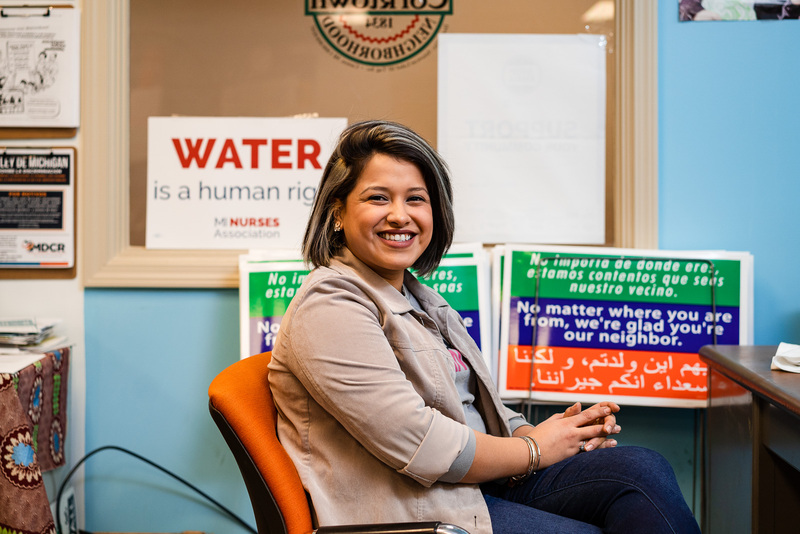 “I don’t want teachers to feel like they can’t have their individualism because when you are passionate about something, you may connect with kids about it in your own way. It’s all about figuring out the students’ best learning modalities." At the end of each four-and-a-half-week period, schools do brief assessments to determine areas for student enrichment or remediation, following the nationally recognized 8-Step Process for improvement developed by Pat Davenport and Peggy Hinckley. Part of this personalized approach also includes having what are called “data rooms” in each school of the East Allen County district, Hissong says. 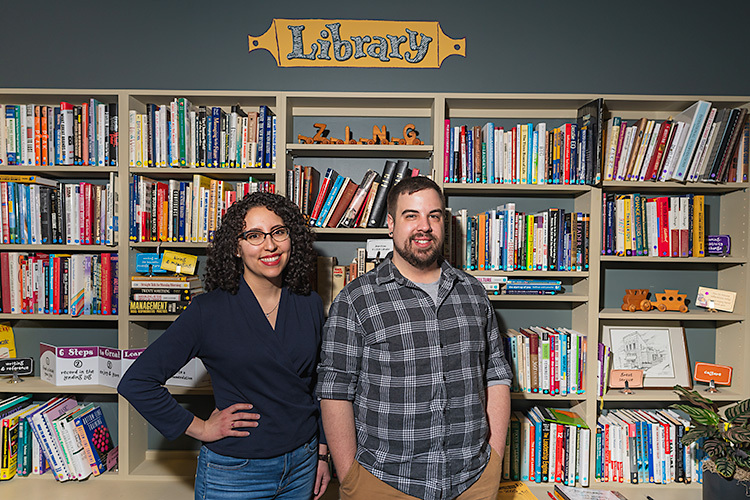 These rooms are home to current records on each student at the school, including their photos and assessments, allowing teachers to monitor them closely from grades K-12 and guide their individual, educational journeys. Teachers in East Allen County Schools give students and families personal attention. In a way, data rooms reflect the benefits of small towns, too. A large reason families choose to live in close-knit, rural communities is because they want to know their neighbors and be known in return. Taking that same approach to education is another reason families are choosing East Allen County Schools. Along with building and curriculum updates, new incentives from the state of Indiana are another factor driving growth at East Allen County Schools. For about the last 10 years, the state has allowed school districts to open their doors to transfer students who live outside of their traditional district boundaries, and with these students comes more funding from transfer tuition. It also creates a level of competition among regional school districts to win students by stepping up their offerings. To stay competitive, East Allen County is repurposing many of its former school buildings as new centers of innovation. East Allen County Schools are accepting transfer students from other districts. For example, in the former Paul Harding Sr. High School that closed in 2011, there’s already an alternative high school program called East Allen University. While high schools typically prepare students for four-year college programs, East Allen University puts high school students into an early college environment in grades 9-12 where they can earn dual credits toward college or earn their associate’s degree by the time they graduate. Then they can either continue on to complete their bachelor’s degree, or finish with their associate’s degree and go directly into the workforce. “It’s giving students more options,” Hissong says. Another way East Allen County is innovating is by turning its former Meadowbrook Elementary School building into a vocational career and technical education center. Expected to open in 2020-2021, the new center will offer five programs in the trades of Industrial Maintenance, Health Sciences, Advanced Manufacturing, Computer Science, and Pharmacy Technician. These programs will be offered in addition to the ABC Program for Plumbing, Electrical, Carpentry, and HVAC Technician that East Allen County currently has, Hissong says. She explains that these programs were chosen based on student interests and regional workforce development needs. And as the district continues to raise the bar on northeast Indiana’s educational offerings, they’re seeing more excitement and investment in their small towns, too.